In 1972, Toni Tennille was the co-writer of an ecology-themed musical called Mother Earth. At that time, Daryl Dragon (son of composer Carmen Dragon) was the keyboardist for The Beach Boys. When Tennille's show was getting ready to move from San Francisco's Marines Memorial Theatre to Southern California's South Coast Repertory, a call was put out for a replacement keyboardist. Dragon was in between tours when he heard about the opening, met Tennille in San Francisco to audition, and landed the gig. Reciprocating in kind, Dragon later suggested Tennille to The Beach Boys when the band needed an additional keyboardist, and they hired her. She toured with them for a year, and Toni Tennille has since been known as The Beach Boys' one and only "Beach Girl". 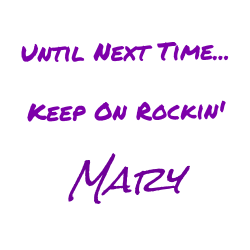 When the tour was over, and realizing their collaborative potential, they began performing as a duo at the legendary (but now-defunct) Smokehouse Restaurant in Encino, California and started to make a name for themselves in the Los Angeles area. During this time, an early version of a Tennille-penned tune they had recorded, "The Way I Want to Touch You", became a hit on a local radio station and led to a recording contract with A&M Records. Their first hit single was a cover of Neil Sedaka's and Howard Greenfield's "Love Will Keep Us Together". The song went to #1 on the Billboard Hot 100 singles chart nine weeks after its debut in 1975 and went on to win the Grammy Award for Record of the Year. Tennille paid tribute to Sedaka in the recording when she overdubbed her own voice during the outro of the single, singing "Sedaka is back." They successfully mined the Sedaka songbook a number of times over their chartmaking career as two other hit singles were Sedaka co-writes, "Lonely Night (Angel Face)" and "You Never Done It Like That", as well as several other album tracks. Their Spanish recording of "Love Will Keep Us Together", "Por Amor Viviremos", also charted in 1975 — it was the first time two versions of the same single charted at the same time. Tennille and Dragon married on Veteran's Day (November 11), 1974. During the duo's period of highest popularity, Tennille also worked as a session singer (most frequently partnered with The Beach Boys' Bruce Johnston), performing as a backing vocalist on the Elton John albums Caribou, Blue Moves, and 21 at 33 (some vocally arranged by Dragon) and most notably on the hit track "Don't Let the Sun Go Down on Me". She also appeared as a backing vocalist on tracks by Art Garfunkel and The Beach Boys, as well as Pink Floyd for whom she performed backing tracks on The Wall album. Throughout the 1990s, they continued to perform various concert dates at venues around the world, frequently at Harrah's Lake Tahoe which was close to their home near Carson City, Nevada. One of their more notable appearances in that decade occurred when they played at the House of Blues on the Sunset Strip in Los Angeles in 1995, as part of their twentieth anniversary as an act. At the same time throughout the 1980s and 1990s, Tennille enjoyed a second career as a big band and pop standard singer, not unlike pop colleague Linda Ronstadt. She performed with orchestras throughout the country and subsequently recorded several solo albums including Mirage Records' More Than You Know (1984), and All Of Me on Gaia Records in 1987. Toni Tennille also enjoyed a year as the star of the Broadway tour of Victor/Victoria. At the end of that project, she and Dragon were to have embarked on a twenty-fifth anniversary tour; however, the stresses of the road proved too demanding and Captain & Tennille instead put an indefinite hold on their career as a performing duo. 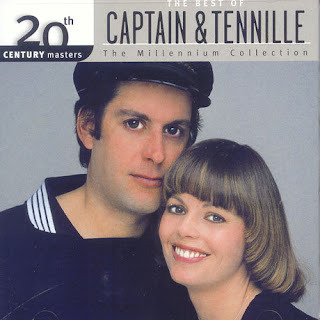 Nevertheless, Captain & Tennille's popularity remained evident in the release of their Ultimate Collection: The Complete Hits on Hip-O Records (a subsidiary of Universal Records) in 2001, and More Than Dancing... Much More, a 2002 compact disc. The latter contains what was originally their final album in 1982, More Than Dancing, which at that time was released only in Australia, and is combined with selected tracks from their 1995 20 Years of Romance, originally on K-Tel (re-recordings of their songs, and cover versions of others), as well as five newly released tracks. In 2005, Brant Berry, the vice president of a small Portland, Oregon–based entertainment company, Respond 2 Entertainment (R2), signed an agreement with Captain & Tennille to release three separate projects. 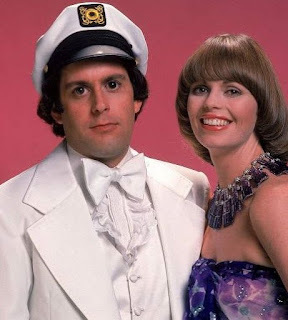 The first was the home video release of Captain & Tennille's 1976 variety series, on a three-disc DVD set containing eleven complete episodes with bonus musical tracks. Second, R2 re-released all six of their albums, both from the original A&M and Casablanca labels, on newly remastered CDs. Several of the CDs were previously only available in Japan. The new CDs, packaged both as individual CDs and in a box set, contained new liner notes written by Tennille. Third, a new recording by Captain & Tennille was released—a three-song Christmas CD entitled Saving Up Christmas. This effort was followed by The Secret of Christmas released on Captain & Tennille's own label, Purebred Records, on November 1, 2006. 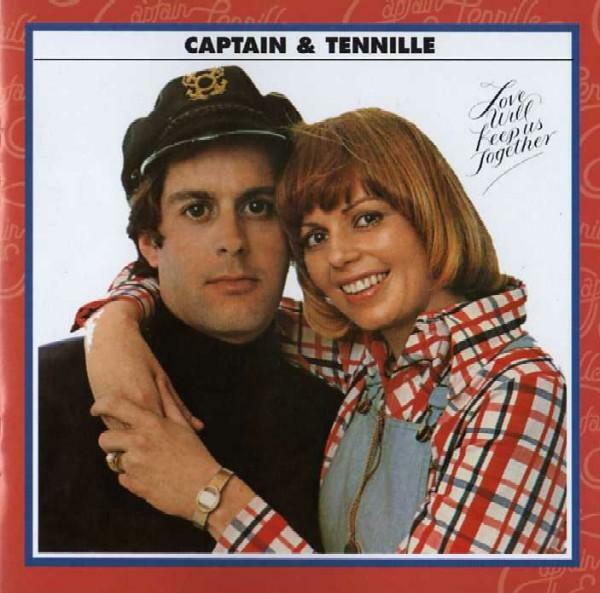 It was Captain & Tennille's first complete original album produced in more than a decade, and their first-ever Christmas album. Tennille returned to the UK airwaves and to club play when the band Bent sampled a small portion of her vocals from Captain & Tennille's 1979 track, "Love on a Shoestring" (from the album Make Your Move), into their "Magic Love" single in 2003. An Ashley Beedle remix of the single heightened the danceability of the original ambient track. In October 2006, Cartoon Network's animated special Casper's Scare School was aired. The duo recorded two songs for the film, and voiced the dialog for the characters who sang the songs. Tennille portrayed Aunt Belle and the Captain was Uncle Murray, who together formed a two-head-on-one-body being known as the Ankle. The two songs they performed, "Why Does Love Make Me Feel So Good" and "World Without Fear", were written by Magnus Fiennes. Captain & Tennille's co-stars on the show included Phyllis Diller, James Belushi, Dan Castellaneta, and Bob Saget. In 2007, three new DVDs were released of Captain & Tennille's ABC TV specials: Captain & Tennille in Hawaii, Captain & Tennille in New Orleans, and Captain & Tennille Songbook. Tennille filed for divorce from Dragon in the State of Arizona on January 16, 2014, after 39 years of marriage. Dragon was unaware of this until he was served with the divorce papers. The divorce documents referenced health insurance or health issues, and Tennille had written on her blog in 2010 that Dragon's neurological condition, similar to Parkinson’s, was characterized by such extreme tremors he could no longer play keyboards. Here's your earworm for the day!